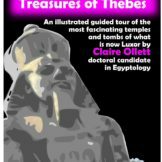 An illustrated guided tour of the most fascinating temples and tombs of what is now Luxor by Claire Ollett. Claire is a doctoral candidate in Egyptology. 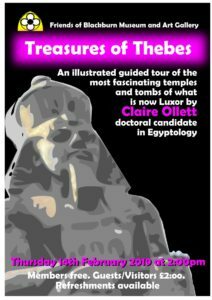 The talk will last approximately one hour and refreshments will be served after the talk. For further information on The Friends of Blackburn Museum and Art Gallery click here.